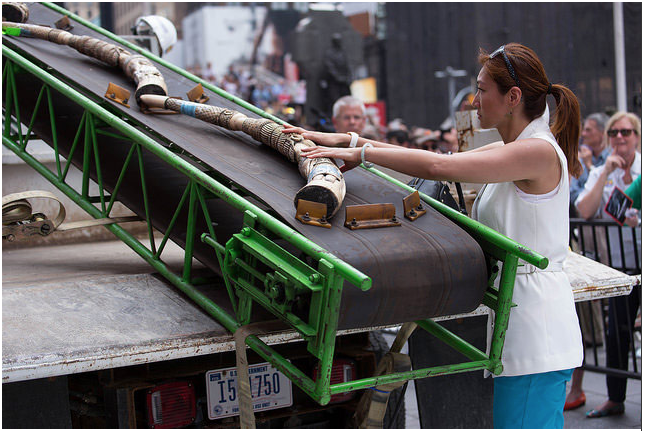 When border agents seize two tons of smuggled ivory, how do they tell where it’s from? When meat on sale in Southeast Asia is suspected to be from a tiger, how can the police prove it? And when blood in a hunter’s truck is thought to come from a poached deer, where’s the evidence? These are questions frequently asked of wildlife forensics scientists.Wildlife forensics is a lonely field. Globally, there are 61 laboratories and under 200 full- and part-time practitioners. Because it’s so small, the Society of Wildlife Forensic Scientists (SWFS) conference, held in conjunction with the North American Forensic Entomology Association (NAFEA) from June 22-26 in Missoula, Montana, provided a vital “one-stop shop” for scientists to share experiences, exchange information and build the relationships needed for collaboration. 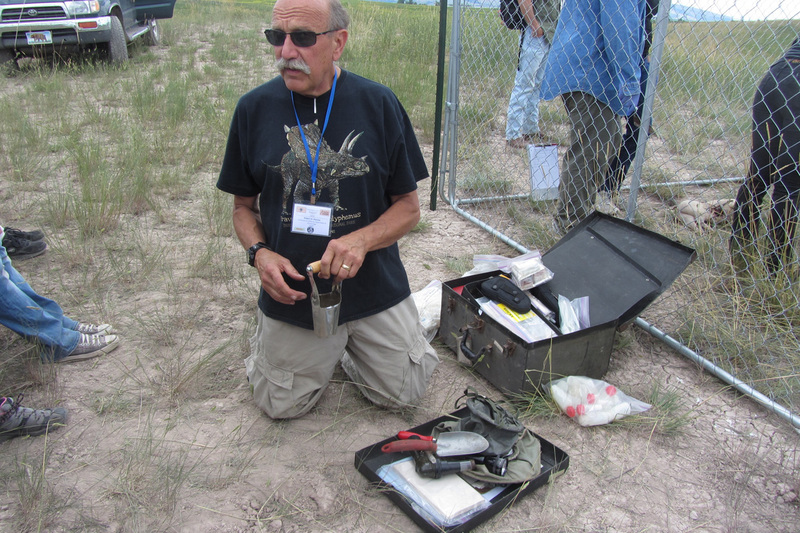 “It’s the single most important gathering of wildlife forensic scientists,” noted Ed Espinoza, deputy director of the National Fish and Wildlife Forensic Lab. Roughly 100 participants from 15 countries and 25 states attended a range of seminars. These included workshops on: forensic entomology, where participants saw the stages of insect colonization first-hand; courtroom training, where participants explored admissibility requirements for expert witness testimony and observed a mock trial; genomics, which provided an overview of next-generation sequencing technologies that can deliver larger volumes of data than current techniques; animal abuse, which applied forensic science to dog, cat, horse and other animal cruelty cases; and isotope analysis, which explained the use of isotope ratios for understanding animal migration and movement, geographic origins of specimens, and age dating of evidence. Leading scientists also advised on a range of other topics, such as certification and proficiency testing, accreditation for laboratories, and DNA databases. They also shared their latest research on techniques, such as the selection of appropriate genetic markers for identification of various species, the use of macroscopic wood anatomy combined with mass spectrometric chemical analysis to fight illegal logging, the role of detection dogs in gathering evidence, and how sexual dimorphism of insects can provide more accurate time of death. Other highlights included explanations on the history and admissibility of expert witness testimony by legal scholar Edward Imwinkelried, professor of law emeritus at University of California-Davis, and U.S. 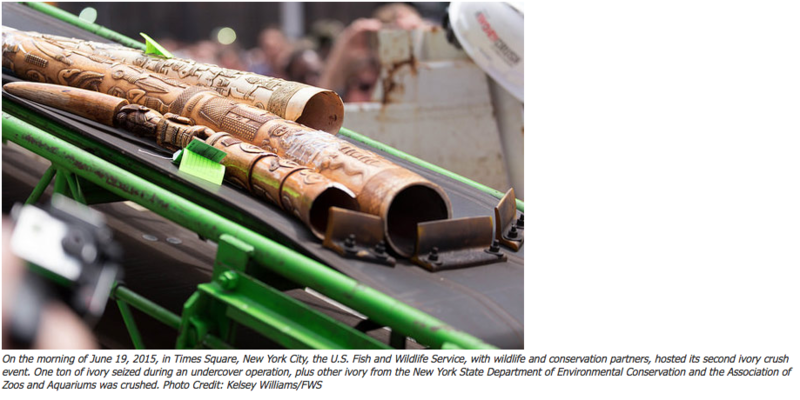 Fish and Wildlife Service Law Enforcement Chief William Woody talking about the June 19 crush of one ton of confiscated elephant ivory in New York’s Times Square. With such a large variety of animals involved in the trade, most wildlife labs by necessity focus on a smaller subset of species—which makes this type of exchange that much more important. For example, Wyoming’s Wildlife Forensic and Fish Health Laboratory concentrates on 13 big game species. Many also build expertise primarily in one subfield, such as genetics or pathology. Worldwide, the National Fish and Wildlife Forensic Lab in Ashland, Oregon is the only full-service crime lab dedicated to wildlife, meaning it includes morphology, genetics, pathology, chemical analysis, ballistics and more under one roof. Further, labs in different places are often at different stages of development in terms of casework. Because it was established in 1989, the National Fish and Wildlife Forensic Lab is most advanced, with over 25 years of case experience. In contrast, wildlife labs in Kenya and Botswana are just starting out. One example was a side event on June 24 where wildlife forensic scientists from Africa (Botswana, Gabon and Kenya) and Southeast Asia (Indonesia, Malaysia and Thailand) discussed their caseloads and forensic challenges. This exchange of experiences becomes even more important at a time when species extinctions are happening rapidly and the variety of species in the trade is increasing dramatically. The Montana meeting was the Society’s third. The first two were held in 2010 (in Ashland, Oregon) and 2012 (in Jackson Hole, Wyoming). The next one is planned for 2017 in Edinburgh, Scotland. Article published by Rhett Butler on July 10, 2015.